Professor György K.B. Sándor believes that tissue engineering can become a new global export item. Sándor specializes in oral and maxillofacial surgery, and does research on bone regeneration, hyperbaric oxygen therapy, tissue engineering, and stem cells. The goal of his research at the University of Tampere in Finland is to produce bone and cartilage using tissue engineering and to optimize the use of tissue-derived stem cells for bone defects. 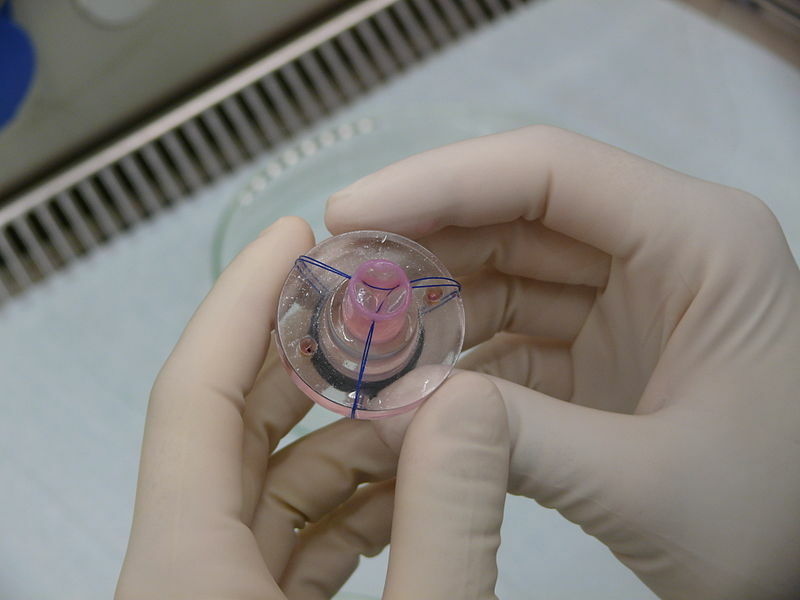 With tissue engineering, it is possible to produce tailored, living human spare parts. If the method can be rolled out on a larger scale, it may become the third alternative form of treatment alongside the traditional forms, surgery and pharmacotherapy. “Tissue-derived stem cells can be isolated from the patient’s own tissue. In that way, they will not cause a rejection reaction. Compared to tissue stem cells, human embryonic stem cells have a greater ability to differentiate into different cell types. In practice, it means that all cell types can be used,” Sándor says. “At the moment, expertise in the field is concentrated in Finland, but it has also generated global interest in other medically advanced countries,” says Sándor. In the near future, it is possible that larger numbers of patients will travel to Finland to receive treatment. Sándor believes that as forms of treatment develop, expertise can also be exported abroad to be used on a larger scale. Sándor works at the BioMediTech research institute run by the University of Tampere and the Tampere University of Technology. BioMediTech is an innovation center that combines biomedicine and technology. “We have proven with more than 20 clinically successful operations that tissue engineering works,” Sándor says. FiDiPro (The Finland Distinguished Professor Programme) is a joint funding program of the Academy of Finland and Tekes. FiDiPro enables top researchers, both international and expatriates, to work in Finland for a fixed period of time.